Even for many comfortable with spending six figures on a new watch, the new Greubel Forsey might be a bridge too far. While the price of this watch will undoubtfully earn it many headlines, it is another accomplishment that might stun you even more: this watch is designed for daily wear! A Grand Sonnerie is a rare complication, for the mere fact that only a few brands in the world have the expertise to make them. 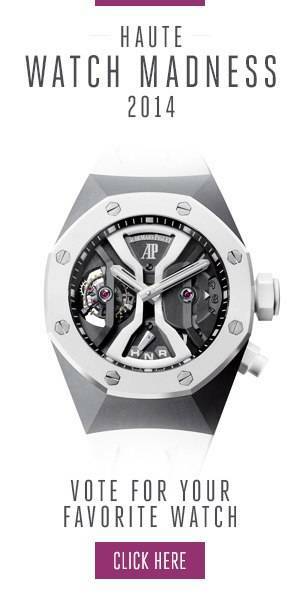 Last year Audemars Piguet did it with the Supersonnerie, but in general, it is a challenge too difficult for many. The reason behind this is that a Grand Sonnerie is not just a watch that indicated time by sound, but because it has three different modes. It can chime the time every hour (Petit Sonnerie) or every quarter and hour (Grand Sonnerie) yet can at the same time also chime the hour, quarter and minute on demand (Minute Repeater) or enter an entirely silent mode. With this in mind, it is not surprising that Greubel Forsey needed 935 parts to make the watch. Even when a brand has the expertise and resources to make a Grand Sonnerie, they often remain delicate watches. Accidently changing the time when the watch just started to chime can already lead to hefty repair costs. Greubel Forsey added eleven precautions to the movement to prevent any damage from happening, and they took over 10 years to develop the movement. They also opted for a titanium case to keep the weight of the watch down, as well as the chimes sound more clear and vibrant. With a diameter of 43.5 mm, the watch is large but not overly so, making it combined with its low weight indeed a candidate to wear as a daily companion. The watch comes with a separate power supply for the timekeeping part of the watch, as well as for the chiming mechanism. With the first you manually wind two-barrels, giving the watch a 72-hour power reserve. The second is driven by a platinum rotor on the back of the watch and gives the barrel dedicated to the striking mechanism a 20-hour power reserve. Gruebel Forsey did this because when the chiming mechanism engages they drain a lot of power off the barrels, which decreases the accuracy of the watch. To further increase the precision of the watch, it is also fitted with a tourbillon. And in true Grubel Forsey tradition, this is not just any tourbillon but a 24-second, 25°-inclined tourbillon! More info and live pictures of this Greubel Forsey to follow at the SIHH.